Witness old-world charm painstakingly applied atop a Rolls-Royce. Think retro design is dead? Some automakers and their leadership would evidently agree, but others would beg to differ. And Felix Eaton clearly falls in the latter category. He's the man behind Eadon Green, which coachbuilds grand tourers with old-school charm at the heart of the British automotive industry in Huddersfield. Eadon Green has come out with several iterations over the past few years, each adopting a similar design ethos. And this is its latest. It's called the ZRR, and details are still at a premium. But the basic parameters closely mirror the Zanturi we've already seen. Like the Zanturi, the ZRR is a four-seat grand touring coupe. And while the donor car upon which it's based has not been disclosed, its specifications provide a pretty big hint... if its headlights, hood, windshield frame, doors, wheels, and registration number don't already. The Eadon Green ZRR is powered by a 6.6-liter V12 – just like the one that BMW makes and places in the M760i and a smattering of Rolls-Royces. 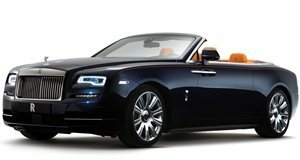 In the ZRR, it's said to produce 601 metric horsepower and 620 lb-ft of torque, which is exactly what you'd get in the Black Badge version of the Rolls-Royce Dawn. Power is likewise transmitted to the rear wheels through an eight-speed automatic transmission. And though Eadon has eschewed the convertible roof for a solid one, the curb weight matches the Dawn's exactly. As does the wheelbase, but the elegant bodywork extends much further to exceed that of the extended-length Ghost and nearly match the standard new Phantom's. Whatever it's based on, Eadon Green says the ZRR will only "be produced in small numbers.” Which is probably just as well, because the prospect of acquiring a Rolls-Royce convertible and having it completely rebodied doesn't strike us as one most of us could afford.